Here we take a closer look at the adidas I-5923 in Clear Orange Periwinkle Core Black. 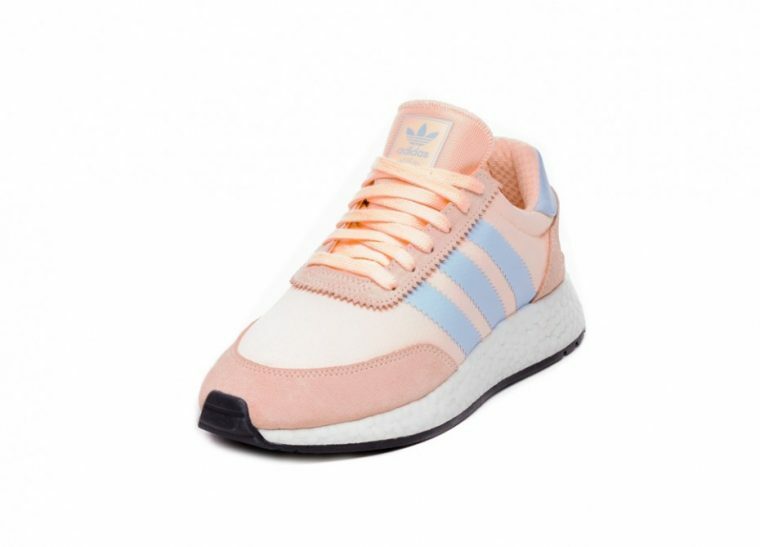 A fresh new colourway for the I-5923. 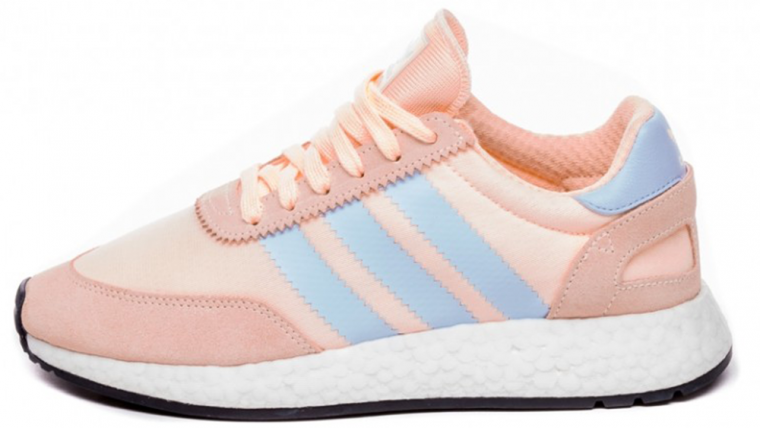 These trainers bring a subtle, yet cute colourway, mixing tonal pastel colours with textured fabrics and zig-zag cuts. 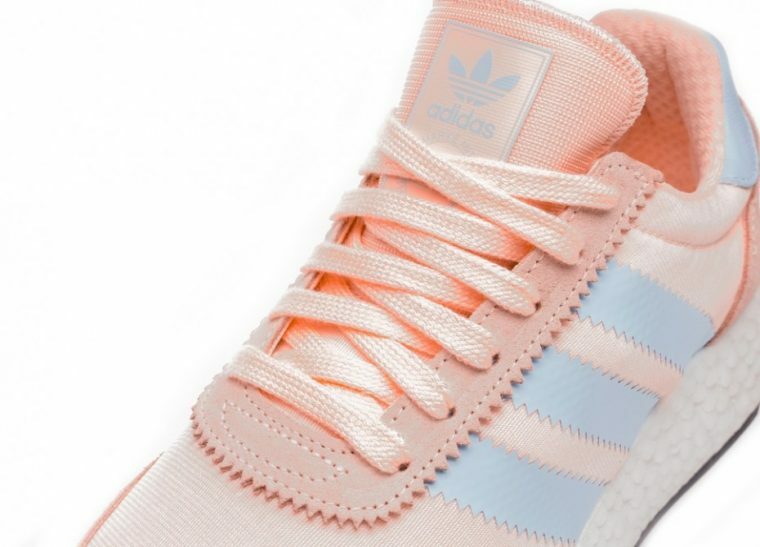 The blue 3-Stripe detail to the sidewalls are instantly identifiable, bringing them into the fold of adi classics. There is a lightweight coral neoprene mesh upper, with classic suede panelling covering the heel counter, toe cap, and eyestay, topped off with tonal pink laces and a black outsole. We love the versatility that comes with these feminine and stylish baby colours. The fresh hues mean that the shoes will be a great addition to a spring wardrobe and won’t overpower any other colours you’re wearing. 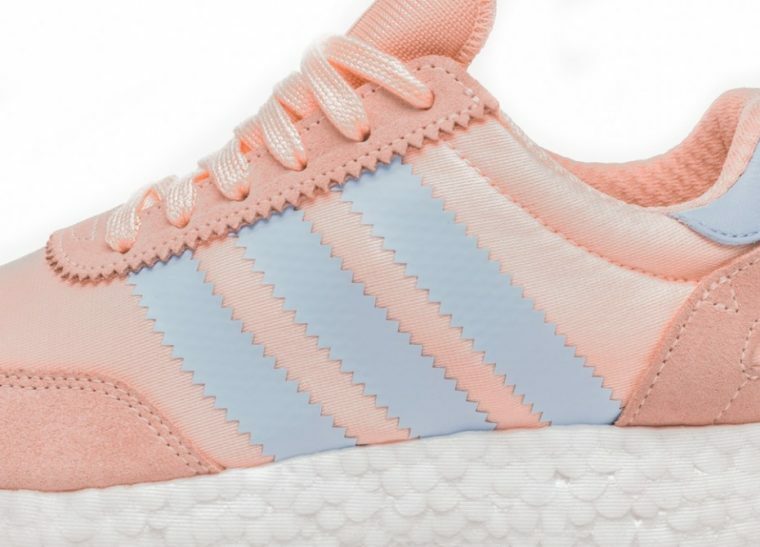 This silhouette makes use of adidas’ signature and sought after Boost technology. This gives the white midsole ultimate bounce and comfort when running. So if you’re after something you can wear all day, these might just be what you’ve been looking for! 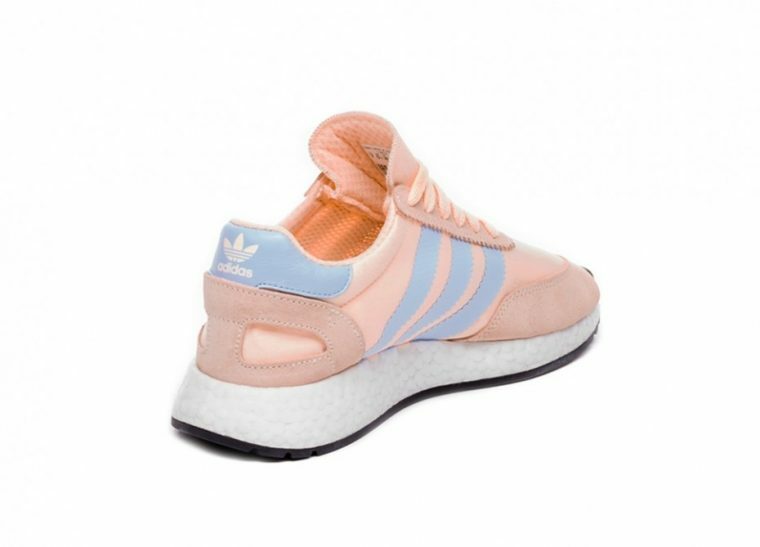 Hit the bell at the top of this page to be notified when the adidas I-5923 in Clear Orange Periwinkle go on sale on the 1st February 2019. You’ll be able to shop them through the stockist links on this page. 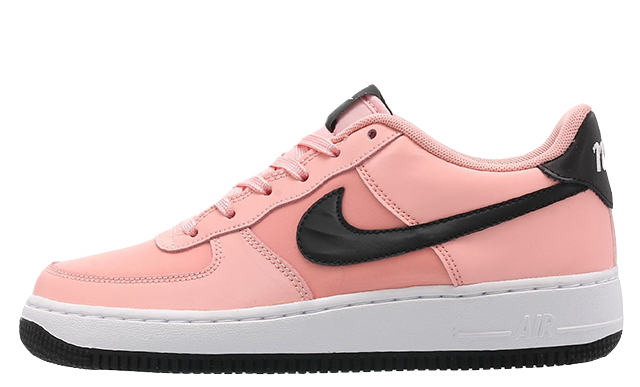 And while you wait, keep it locked to The Sole Womens for the freshest sneaker releases, news, and more! 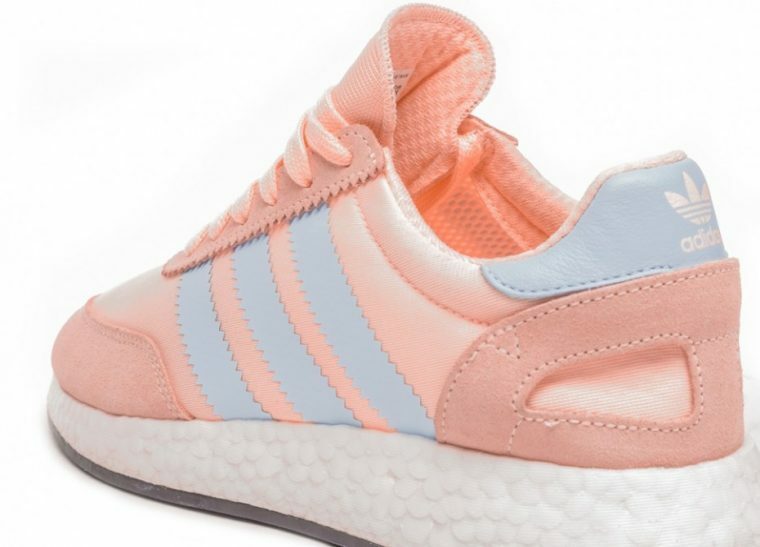 You can find more Women's Adidas i-5923 Trainers Release Dates here!